Since Blue Bahia Granite is one of the most sought after stone options by home owners and contractors, this granite is more on the expensive side when it comes to pricing. The average price for blue bahia ranges from $90 to $100 per square foot for a 3 centimeter thick slab. It is almost never available in 2 centimeter thick slabs, but you may want to check on your local suppliers and fabricators to see what they have in stock. 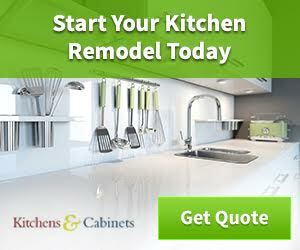 Some may offer packages including the material cost, furnishing, and installation fee. 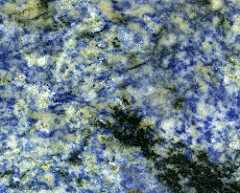 Named after its origin, Blue Bahia Granite is quarried from the rich bedrock of Bahia, Brazil. Also known as Azul Bahia Granite, this desirable stone is known for its rich and brilliant blue hue, aside from its resiliency and durability. With its saturated blue color, some may find it hard to find the right fixtures and furniture that will go along well with it, but for those craving a unique interior decorating project, blue bahia offers plenty of substance for the creative mind. Although unlikely you may be able to find prefabricated blue bahia countertops online. 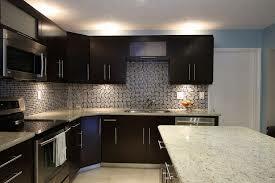 Typically you can get prefabricated countertops at a sizable discount, due to the mass production of the product. This semi-precious stone appears to be in a hue of a brilliant blue when viewed from afar. The surface looks more on the uniformed side if taken meters away, but if you will look closely, you will notice that the veins and mineral deposits apparent on its surface differs from block to block. Once you get closer, you may notice that beneath all the blue glory, the real color of the bedrock is white. The mineral deposits and veins play with the different hues of blue, black and gray, making an intricate pattern on the surface. This course grained stone is one of the most complex granites available on the market today, with 70% to 90% of the surface made up by the beautiful play of the mineral deposits. The multi-tone effect on this natural stone is lovely, but that is just one of its attracting features. Blue bahia is also one of the most durable and resilient pieces out there. Blue Bahia Granite and Blue Eyes Granite are both historically in heavy demand by home owners and contractors in the market today. With their stunning appearance and undeniable longevity, both granites are worth there weight. The difference between the two lies on the appearance of the surface, as well as the fitting combinations and pairing that may work on them. Blue Bahia must be paired up carefully, for its brilliant hue may be overpowering and loud. Blue Eyes, on the other hand, is more on the subtle side, and will accordingly, fit with a wider spectrum of choices. Blue Bahia Granite works best with white and/or light colored cabinets. In doing so, a classic and timeless look will be achieved. The contrasting hues of blue against the pristine white is undeniably one of the most regal effects ever, sounds beautiful doesn’t it? Depending on the mineral deposits apparent on your slab, dark cabinets and fixtures may also work for you, just like in the photo seen above. If your blue bahia is more on the subtle hue of blue, pairing your slab with dark cabinets will create a rich, deep combination that evokes a warm feel for the room.